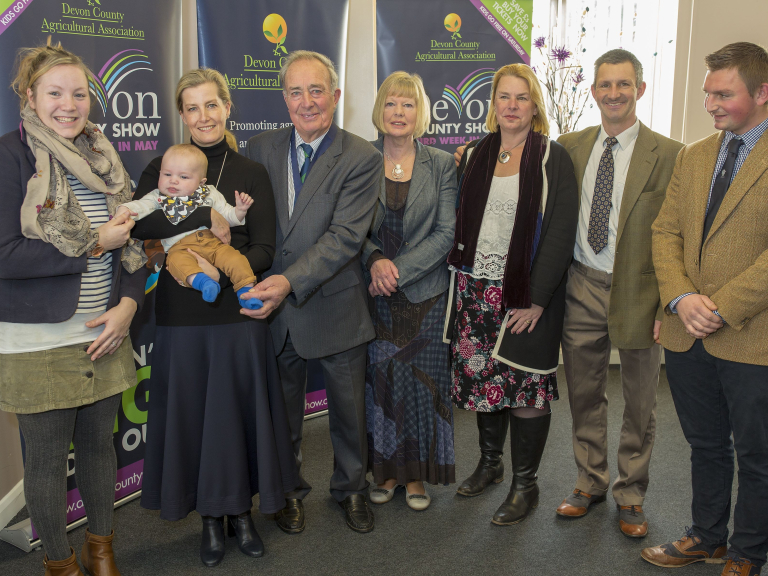 Edward Darke, who has been stewarding and showing livestock at the Devon County Show for over 50 years, has been elected President of the Devon County Agricultural Association (DCAA) which organises the Show. Mr Darke, 75, who farms near Kingsbridge in the South Hams, first stewarded at the show in 1966. He has been Chief Steward of Sheep for 27 years, and Chief Steward of Livestock for the past eight years, and through all that time he has been winning classes and championships with his pedigree Devon and Cornwall Longwool sheep. He said that being elected President was ‘a dream come true’. For the DCAA, Chief Executive Richard Maunder said that Mr Darke was one of the Association’s most loyal and long-standing stalwarts. Edward Darke farms some 450 hectares in the South Hams with his son Richard and two grandsons. They milk 250 cows, have a commercial flock of 400 breeding ewes as well as the 60-strong flock of pedigree Devon and Cornwall Longwools, and grow around 200 ha of cereals. The Devon and Cornwall Longwool is one of the largest breeds of sheep in Britain, famous for the size and quality of its fleeces, which can weigh up to 18kg. Mr Darke’s Longwools have won many prizes for their wool over the years, including the South-West ‘Champion of Champions’ in 2003. However, probably his greatest moment in showing livestock was when Her Majesty the Queen presented him with the trophy for the Supreme Champion sheep at the 1981 Royal Show. When he isn’t farming or showing and judging sheep, Edward Darke’s other passion is point-to-pointing. He rode in and stewarded in point-to-points for many years, is chief steward of the East Devon at Ottery St Mary and has been chairman of the Dart Vale and Holden Harriers point-to-points for the last 50 years. In 2015, he was honoured with the ‘Lifetime Achievement’ award in the Devon Farm Business Awards, and is a past President of the summer Kingsbridge Show and Christmas show and past President of the Kingsbridge Young Farmers. 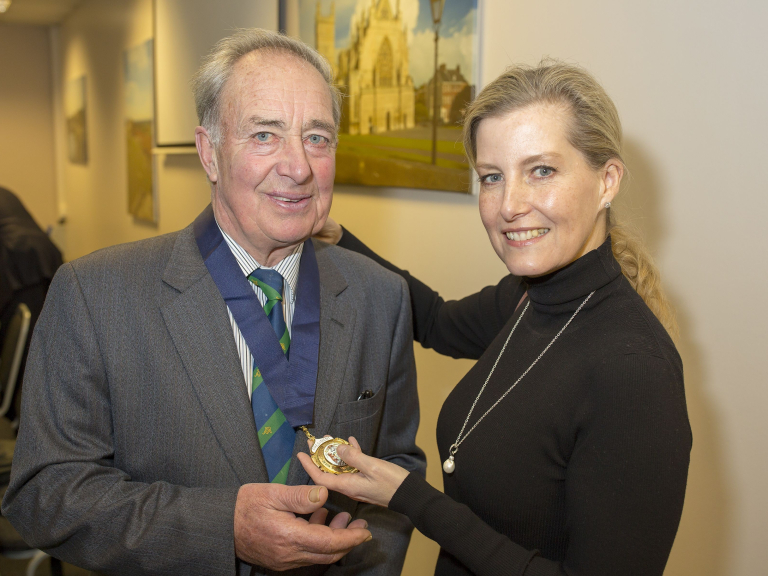 Edward Darke receives the Presidential chain of office from outgoing President HRH The Countess of Wessex. HRH The Countess of Wessex with the 2018 President of the Devon County Agricultural Association Edward Darke and his family. HRH holds baby Jack alongside his mother, Sadie, with Edward’s fiancé Sue Eveleigh (fifth left), son Richard and his wife Melissa and grandson and Jack’s father, Matt.